Alongside rumors of Activision planning a battle royale mode in Call of Duty: Black Ops 4, hints of The Division 2 coming with its own battle royale map, and the continued launch of several other spin-off products like Paladins Royale and the new Radical Heights, it's safe to say that the battle royale genre is becoming increasingly saturated as companies try and cash in on its popularity. Throw one more on the pile though, as DICE and EA are also considering a similar game mode in the next Battlefield game, currently called Battlefield 5. Although the mode is said to be only in the prototyping stage at the moment, VentureBeat has it that the game mode will likely be a part of the next Battlefield game. However, the caveat is that it won't be ready for release if and when it does debut, so it will likely launch as a DLC or free game pack further down the line. As much as Battlefield fans might not like the idea of DICE spending time developing for this incredibly popular genre, you can't necessarily blame it for at least trying. The sudden rise of PlayerUnknown's Battlegrounds and Fortnite over the past year, especially in the mainstream gaming scene, have caught everyone by surprise. Tens of millions of gamers all over the world now enjoy those titles and every developer out there is scared that if they don't join the trend they'll be left behind. The question is, whether this trend represents a seismic shift in the kinds of games people want to play, or if like a number of other half-genres over the past two decades, whether we'll see players return to the mainstays before long. Still, as single player shooters become more costly and harder to justify developing and genres like RTS being distilled down into more pure forms like tower-defence and MOBA, do Battle Royale games represent the kind of shooter gameplay that most players want to enjoy, with other aspects of the genre likely to peel off into their own niches in the near future? Battlefield 5 as a WW2 game? Why is EA/DICE following the current CoD WW2 game? That's going down a losing road. CoD WW2 is a WW2 game now! EA should just buy CoD WW2 and call it Battlefield 5 WW2! Then a battle royale mode? That's even worse! Without a complete built in BF5 Clan Supported system with rented User Custom Private Servers for private or public Clan wars, competitions and tournaments... My online War Clan won't touch this new BF5 game. At least BF3 had a decent Clan System and Private Servers. Since BF5 was announced to follow the CoD WW2 war game mold... makes it another loser. Why the Hell would EA/DICE do another WW2 game!!!! That's 2 strikes. 3 strikes and you're out! People are crazy about battle royale because it's not about death steak rewards and super moves, its about skill and out smarting your opponent. No 10 year old with a 1-11 k/d calling in some super weapon or one hit kill move. 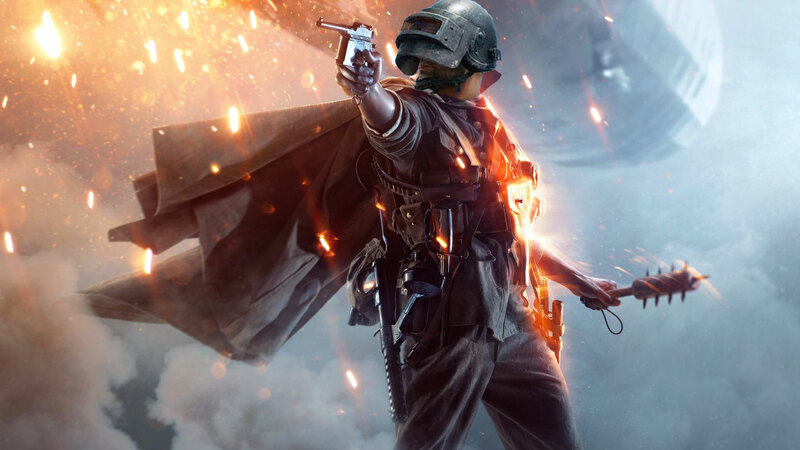 With the mass adoption of this mode more and more developers will start to implement skill gap compression and in a year or two this mode will be just as boring as so many others.... also, BF5 Battle Royale? I call the tank! Its just a free for all, classic FFA game with a big map and a lot of players. People are crazy about it because of group psychology and because its new. Take a classic battlefield map, add a few more players and randomize the gear and there you have it. Battle royale. Most of the people that play these new games have never even played battlefield, quake or unreal. sweet from now on i can play battle royale in every game ever. starting now. That's nice and all, but is anyone going to buy anything from Dice after the Battlefront 2 fiasko? I'm not, that's for sure. I can guarantee you that this battle royale mode will be overrun with loot boxes and pay 2 win. EA/DICE hasn't made a decent game since Battlefield 3. 2142 was a great game A decent sci-fy shooter that wasn't a mod for a Battlefield game. If they ever bothered to revist this spin-off it would do way better then these garbage star wars cash grabs.